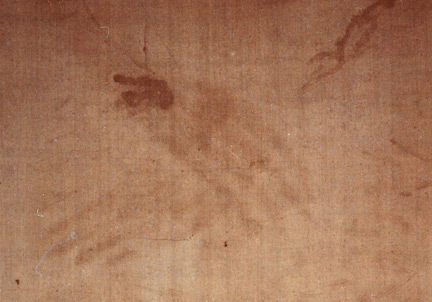 For photo location within the Shroud, see the Grid tab below. Section six contains 59 photos including 6 black and white UV photos, the descriptive photo and the grid for location. 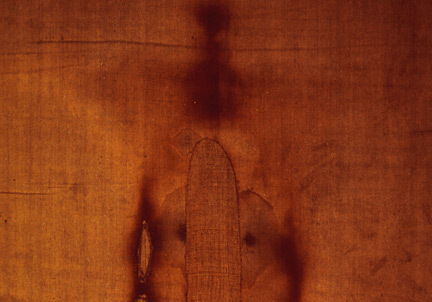 The 4 x 5 color transparencies below were done under ultraviolet light for the purpose of studying the blood, image, water, burn marks, and the background of the Shroud cloth. 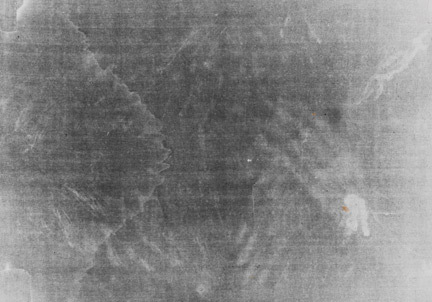 Interspersed among these UV photos are white light photos (WL) for comparison. 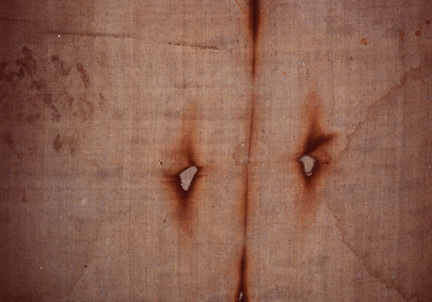 Black and white negatives taken under UV light were done for the purpose of pursuing a more extensive study of the blood marks, exudates (lighter serum lines around the blood marks) and wounds (scourge marks, etc,). See group I, 8. 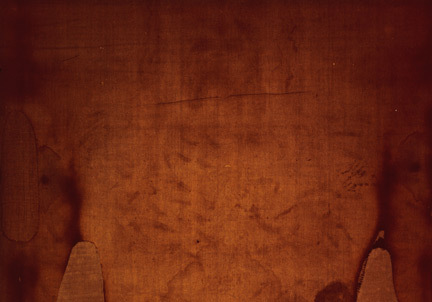 As a result, the photos in this section bring out other details of the blood marks and wounds of the Man of the Shroud. 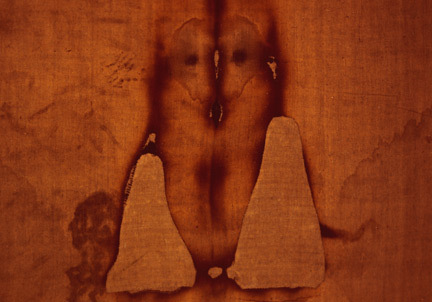 Vernon’s UV light photographs add a whole new visual dimension in the pursuit of the study of the Shroud. 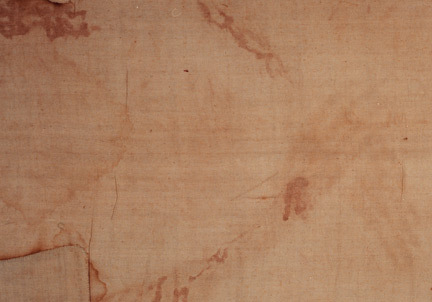 The Grid for Location is a photo of the Shroud cloth which is covered by a grid of squares. 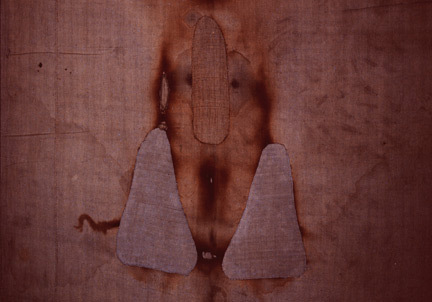 The location of marks on the Shroud can be found using the Grid, which includes numbers 1 through 22 on the horizontal and letters A through F on the vertical. The letters and numbers colored in red found under Image Details correspond to a specific location on the Grid. 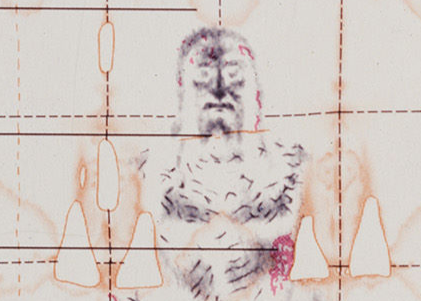 These are found in two places: section 3 Colored Transparencies, micrograph 35mm film and section 6 Colored Transparencies, ultraviolet light 4×5. See photo: 007. For easier access, the Descriptive Photo and the Grid for Location are also found within some of the sections of the photo collection.